Phoenix Automotive Radiator Repair from Colby Welding & RadiatoR, INC.
With over 15 years of experience in the automotive radiator repair industry, Colby Welding & Radiator, Inc. is the premier choice in Phoenix for all of your radiator needs. From a car radiator leak to a 300 ton plus haul truck radiator, the expert technicians at Colby Welding & Radiator, Inc. can handle it all with ease. Our auto radiator repair specialists have extensive experience repairing everything from radiators in personal vehicles to heavy duty truck radiators, and much more. If your radiator needs service, we know just how important it is for you to get it repaired immediately. Our professional automotive radiator repair technicians will diagnose any issues you’re having with your radiator and fix them as quickly as possible. Turn to Colby Welding & Radiator, Inc. for all of your car and truck radiator needs. Phoenix Automotive Radiator Repair Service Benefits from Colby Welding & Radiator, Inc. 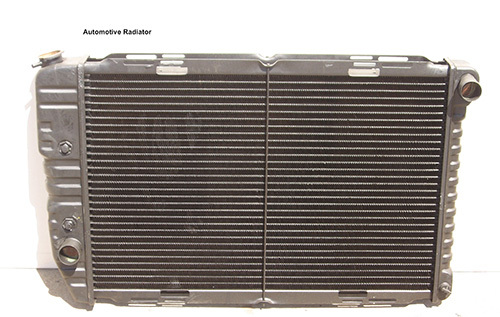 When your car or truck radiator has a leak, turn to the radiator experts at Colby Welding & Radiator, Inc. We know our extensive experience and skill dealing with auto radiators is what sets us apart from other radiator shops in Phoenix, but we believe it’s our personal customer service that really makes us stand out. We develop personal relationships with each of our customers and your 100% satisfaction is always our goal. For professional automotive radiator repair services in Phoenix, contact Colby Welding & Radiator, Inc. today at (602) 258-7147. To learn more about our car and truck radiator repair services, you can also reach us through our Contact Us page.